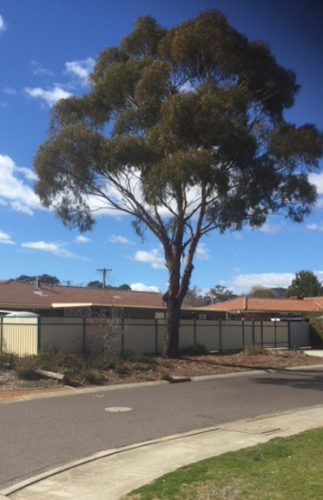 The looming presence of the Chisholm street tree. LONG-suffering pensioner and department-store Santa John Wright has been wrestling with the heartlessly deaf ACT bureaucracy for years about the enormous street tree that looms across his fence and over his roof in Chisholm. He had hoped the ferment of the ACT election might have brought a promise of resolution, if not some interest in his endlessly growing problem. Alas not. 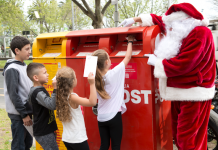 The only response he got was from a couple of (unsuccessful) ALP candidates he button-holed at his local shopping centre who popped around to share the horror of the dangerous tree. “Viewing has eluded all politicians and public servants making decisions concerning this,” he writes, though praises Liberal (now deputy leader) Nicole Lawder who in taking up the cudgels secured a “confused and confusing” reply from Minister Meegan Fitzharris and a substantial trim of the tree. But the thing is still there and John doesn’t have the $6000 the government’s prepared to accept to have it taken away. “I remain staggered at the ability of politicians and public servants to ignore citizens and inspect matters personally. 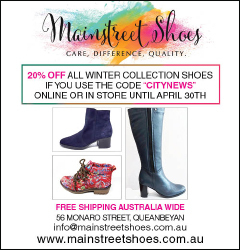 Of course, if our tree was in Northbourne Avenue, down it would come,” he ruefully laments. “A government with heart would remove such trees for those receiving Centrelink payments with an annual modest limit on numbers. 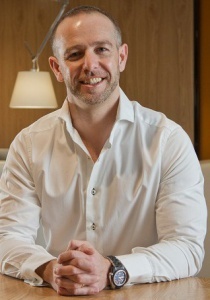 THE threat of trees holds no such worry for Canberra developer Nick Georgalis, he of booming high-rise developer Geocon. Nick has just been tracked as one of 22 debutantes and the ACT’s only entry in this year’s national BRW Young Rich List to have an estimated worth of $144 million. He is reassuringly well above the $123 million average wealth per person on the list (up from $106 million last year). And so you won’t die wondering: the total wealth of the 100 rich listers is a record $12.3 billion, up from $10.6 billion last year. A glimpse of Royal’s new-look championship course. 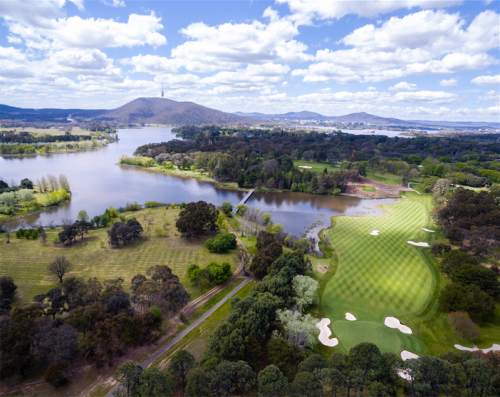 THE normally toffee Royal Canberra Golf Club is throwing open its pristine fairways to let the great unwashed glimpse what three years of renovation has done to the Championship Westbourne Course. On Sunday, November 13 there will be a seven-hole exhibition match between US Open Winner Geoff Ogilvy and a hand-picked selection of celebrity and professional golfers, including professional Mike Clayton, Royal Canberra’s Amateur Champion Andrew Tharle and media personality Andrew Daddo. ABOUT 3.30pm on Sunday (October 30) our Bungendore snout thought he felt a strong wind gust. “But my wife, a New Zealander and therefore wise in such matters, said it was an earth tremor,” he says. About 20 minutes later, he felt another tremor and set off to seek information about it. Bureau of Meteorology warnings line – a voice recording purely about current weather conditions but no real time living speaking person. ABC – switchboard not manned at weekend. No phone-book number for newsroom. Local SES (across the road from our house in Bungendore) – no answer. SES in Goulburn – Robin answered my call. “No. I haven’t heard anything about it.” “Well, you have now.” She told me that the Bureau of Meteorology dealt with seismic matters and gave me a number for its 24/7 line – beginning with 9, therefore in Sydney. It was another recorded message. Doesn’t look a big tree by Reid standards. I have one double this size two meters from my front door and even with an arborist report saying the tree is a risk to buildings and individuals I have still been denied approval to remove it. My quotes are in excess of $10 000 but I am willing to pay it however I don’t ‘meet their criteria’.